Our recruitment of 2019 Graduates has started. Your entries are welcome. The sales of YSJ-1 (High-Depth Shaft) was terminated on July 20, 2017. Thank you. We exhibited at METAREX 2016 [Nov.23 to Nov.26 ] held in BITEC, Bangkok. Thailand. 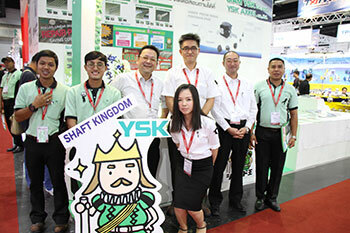 Thanks for your visiting our booth. 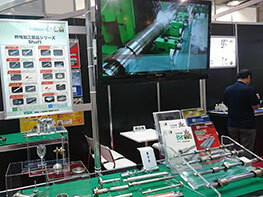 We participated in Machine Element Technology Exhibition (Jun.22 thru Jun.24) at Tokyo Big Sight. 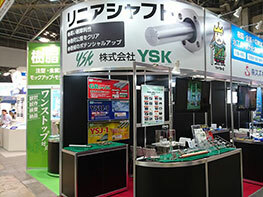 We setup our YSK Booth in Fukushima Pref. Pavilion to show our own technology. Thanks for your visiting our booth. 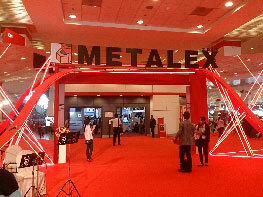 We exhibited at METAREX 2015 [Nov.18 to Nov.20 ] held in BITEC, Bangkok. 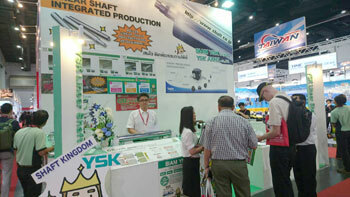 Thailand, one of the biggest exhibitions in Asia. 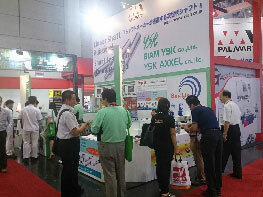 Thanks for your visiting our booth. We are going to exhibit at MECHATROTECH JAPAN 2015[October 21(Wednesday) to October 24 (Saturday)]. We are looking forward to your visits to us. We joined the [The Matching Fair 2014 of High-Spirited Manufacturers] which was held on the 2nd basement at North Building of Grand FRONT OSAKA. We exhibited at METAREX 2014 [November 19 to November 22 ] held in BITEC, Bangkok, Thailand, one of the biggest exhibitions in Asia. Thank you for your visiting. 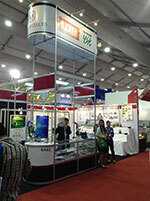 Sincere thanks for your visiting our booth and display at MECHANICAL COMPONENTS & MATERIALS TECHNOLOGY EXPO 18th. We established our office in Bangkok, Thailand. We have advanced into Prachin Buri, Thailand.